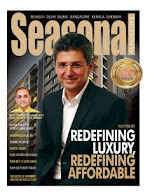 Seasonal Magazine: Ambience IPO: Attractive in Short Term or Only Long Term? Ambience IPO: Attractive in Short Term or Only Long Term? The upcoming IPO from NCR-Delhi based Ambience Limited has many trappings of a winner, but unfortunately, some strange downsides too. The realty major’s principal claims to fame are their projects themselves. The Group runs India’s largest currently operational shopping mall. Gurgaon’s Ambience Mall with over 1 km of shopping space on each floor is something more than a mall; for the past couple of years it has been a popular modern tourist destination in the country. The ambition to build this kind of a project is critical when investors decide to subscribe to an IPO or not. Ambience Island, a mix-use township which includes this mall, apart from a Leela Kempinski and several apartment complexes stands testimony to the Group’s planning, designing, and construction competencies. In fact, Ambience is one of the bigger developers with their own construction infrastructure. Secondly, Ambience is active in all facets of real estate development from residential to commercial to office space to SEZ. Next should come the company’s sharp focus on the largest real estate market in India – the National Capital Region. It is a reasonable achievement that Ambience has been able to stitch together a prime land bank of over 800 acres in NCR cities, out of which nearly 75% is licensed land, which means it is readily developable, unlike the usual agricultural land. The credentials of the main promoter is also good. Chairman Raj Singh Gehlot is a Chartered Accountant by training, and he has been noted from the very beginning for a unique philosophy in development – that Ambience will develop only projects that are either of these three – large, premium, or innovative. The main downside for this IPO is the debt the company has accumulated over the years. At 2500 crore, this debt is a bit troubling for the analysts. Of the Rs. 1300 crore IPO proceeds, Rs. 475 crore will go straight to service this debt. That is not a grave problem as such, but the debt that will remain still on the books can be troubling. Secondly, the company is focussed on luxury, a realty paradigm that even when it refuses to die, is going through a deep crisis. Ambience is more comfortable creating townships with golf courses, rather than suburban condominiums with no garden. The company is yet to have a sound strategy to address the affordable segment comprising of middle-income homebuyers. However, this is not something unthinkable for the firm as it has its roots in constructing more down-to-earth apartments in New Delhi suburbs in the 80s and 90s. The main hurdle for this IPO would however come not from within the company but from without. Despite Nifty & Sensex racing ahead, realty indices are still down. Ambience had filed its Red Herring on the last day of September last year, the same day as Lodha and Reliance Infratel, and one day before Emaar MGF and Sahara Prime City. All of them are yet to open their offers. To stand out among this crowd, Ambience is scouting for a an anchor investor and also working out the offer price.